Coaches have been known to be guiding figures throughout an adolescent’s life, not only teaching teens how to play their sport, but giving them the invaluable skill of working with others to reach a goal. 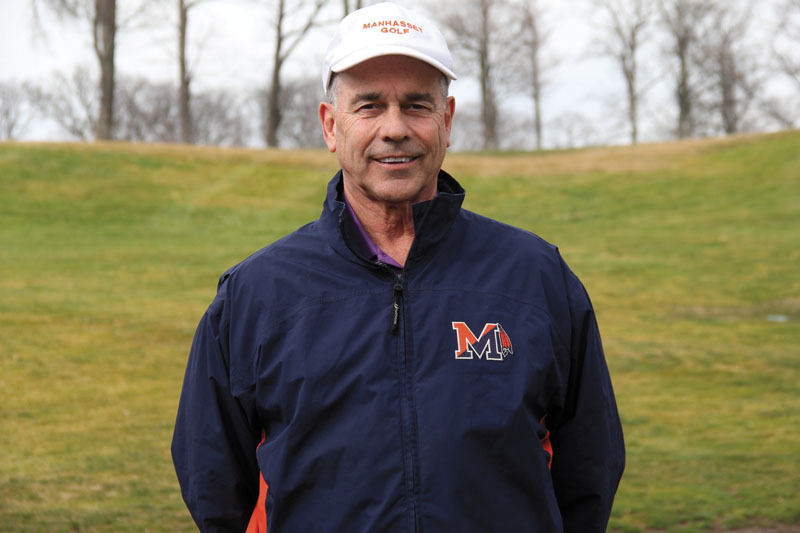 Manhasset High School boy’s golf coach Chuck Collyer and girl’s lacrosse coach Danielle Gallagher have proved to teach more than just their sport as they won 2015-16 New York State Public High School Athletic Association (NYSPHSAA) coach of the year awards. While Collyer won a NYSPHSAA award for coach of the year, Gallagher won a NYSPHSAA award for coach of the year along with Region One Coach of the Year as selected by the National Federation of State High School Associations (NFHS) and NFHS national coach of the year. Collyer began his career in Manhasset in 1981, dedicating most of his time to the school district as a teacher at Shelter Rock Elementary School and the coach of four sports, including basketball and football for 40 years, baseball for 19 years and golf for 25 years at Manhasset High School. Introduced to the sport by his brother, Collyer found a love for golf in college and began teaching himself to play. Collyer didn’t take golfing lessons until later in life. 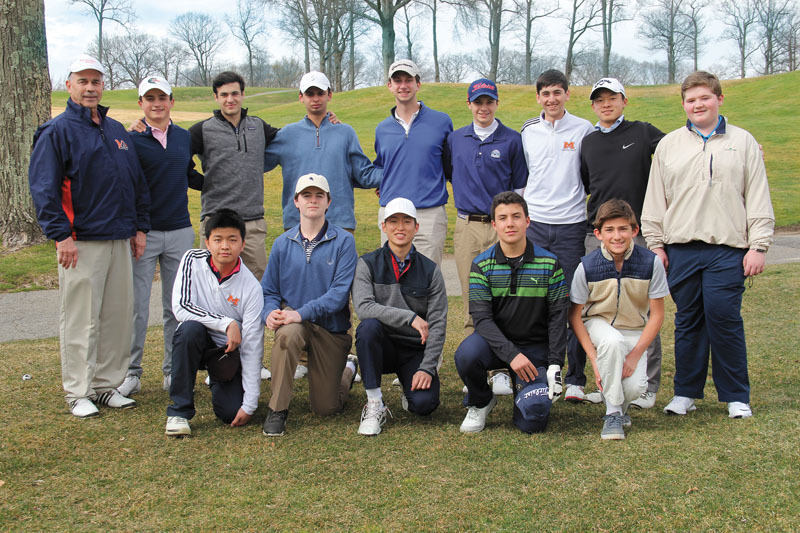 About the time the previous Manhasset golf coach was about to retire, Collyer was playing golf on the weekends, watching golf on television and reading books on golf. He then told the athletic director that there was only one sport he would give up coaching baseball for, golf. After being a coach for many years, Collyer recognizes that coaching a sport isn’t just about teaching teens how to play the game, but building their confidence and having the kids grow as a team. When asked about his greatest accomplishment as a coach, Collyer says that the wins are not something he takes into account because all that matters is that his players get better as the year goes on. Despite Collyer’s impressive coaching resume over the years, he was still in shock when he found out that he was named a NYSPHSAA coach of the year. Gallagher talks to her team on the field. 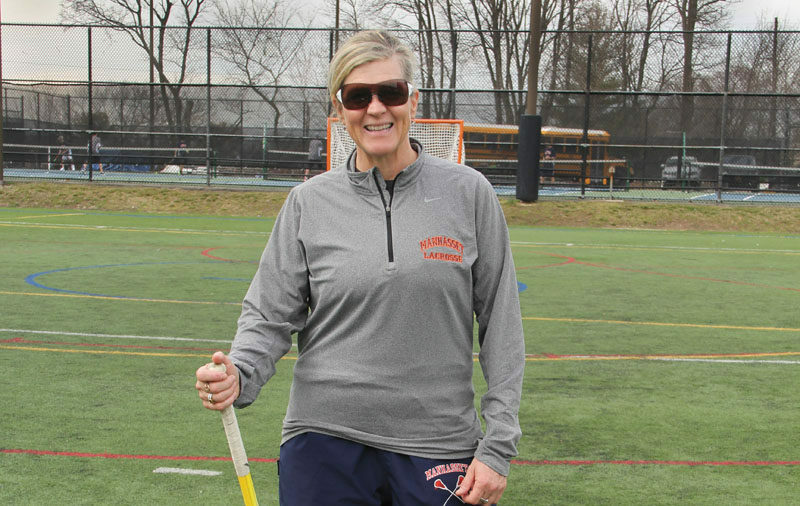 Like Collyer, Gallagher was also surprised that she received NYSPHSAA lacrosse coach of the year, NFHS Region One Coach of the Year and NFHS national coach of the year. 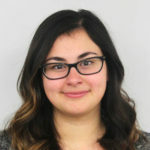 Gallagher grew up in Manhasset, beginning her lacrosse career on the Manhasset boys PAL team because there had not been a girls youth league at the time. 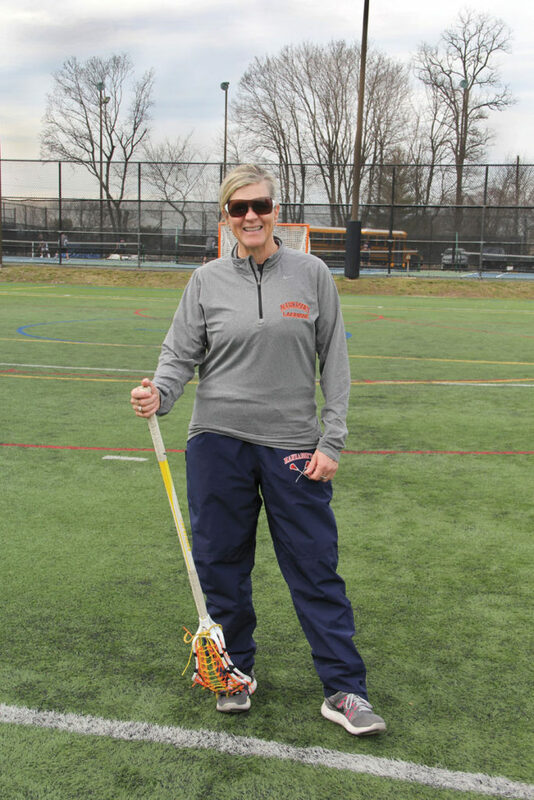 She went on to play on the state championship team in high school, later playing lacrosse for the College of William and Mary and then going on to play for the U.S. Elite Women’s Lacrosse team for 18 years. While holding an assistant coaching position at Notre Dame from 2000-2002, Gallagher was called back to New York to take care of her father. 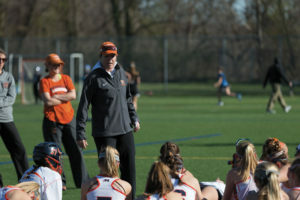 Soon after, Gallagher began coaching at her alma mater, Manhasset High School. 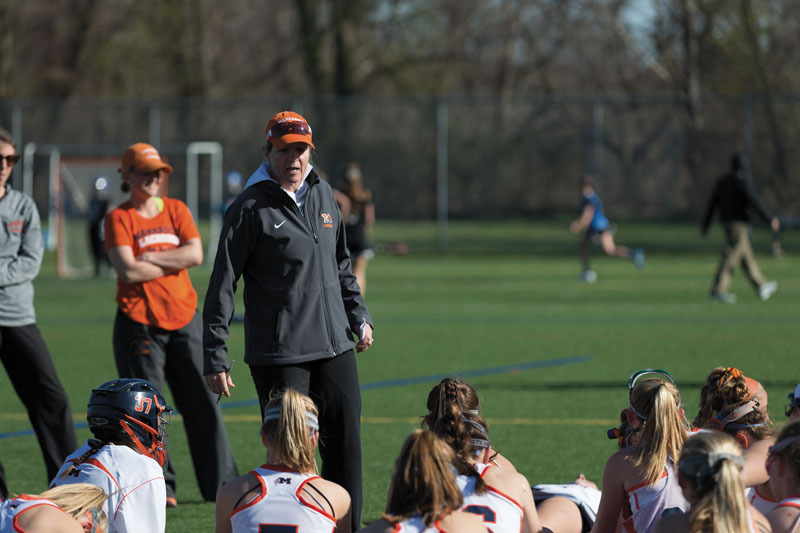 Along with being the Manhasset High School girl’s lacrosse coach, Gallagher owns two lacrosse camps, Liberty Lacrosse, an elite travel lacrosse program, and Black Diamond Lacrosse, a summer camp that provides a competitive yet fun environment. Both camps provide young girls with the opportunity to work on their sport with different coaches from colleges across the country and gain insight into the recruitment process. Both Gallagher and Collyer agree that being a coach is about helping kids by guiding them toward their goals athletically, academically and socially. The two award-winning coaches constantly keep in touch with their past players, watching them mature and grow, proving that they are more than just coaches on the field.